Small-calibre bullets worked quite well when used last week during the grey seal hunt on Hay Island, off the eastern coast of Cape Breton, says a researcher. But Dr. Pierre-Yves Daoust, a wildlife pathologist at UPEI, said Monday that although 90 per cent of the seals died instantly from a single bullet, hunters should be able to do better. "That compares very well with other forms of hunting, whether they be for sport hunting, whether they be for subsistence hunting," he said Monday. "In the context of a commercial hunt, especially when you can shoot the animal from a very short distance, I think we can and should be able to do better than that." Daoust, who is studying a potential replacement for the hakapic in the seal hunt, is now recommending that a more destructive bullet be used. Also, he said the hunters need to wait longer before firing in order to be sure the seal does not move. That would minimize the animal's suffering. 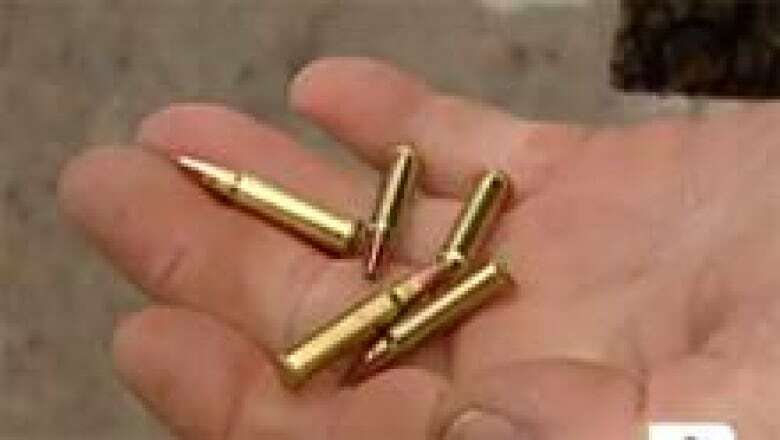 Small-calibre bullets were tested during the grey seal hunt last week on Hay Island. ((CBC))"My interpretation of this is that I am reasonably satisfied with the results of this trial, but it remains a first trial and I am confident that this proportion of 10 per cent can be reduced even further based on the observations that we made during that field trial," Daoust said. A representative of the Humane Society said last week that the experiment was not working. "We saw seals that were thrashing around after being shot that had to again be clubbed to finish them off. It's been a very difficult thing to watch," said Rebecca Aldworth. Hakapics are used in the Hay Island hunt because there is a risk bullets could ricochet off the rocks. The Department of Fisheries and Oceans has set a quota for the island of 1,900 animals, down from 2,200 last year. Hunters said they have secured two Newfoundland-based buyers for the meat. The hunt did not take place last year because sealers said they could not find any markets. 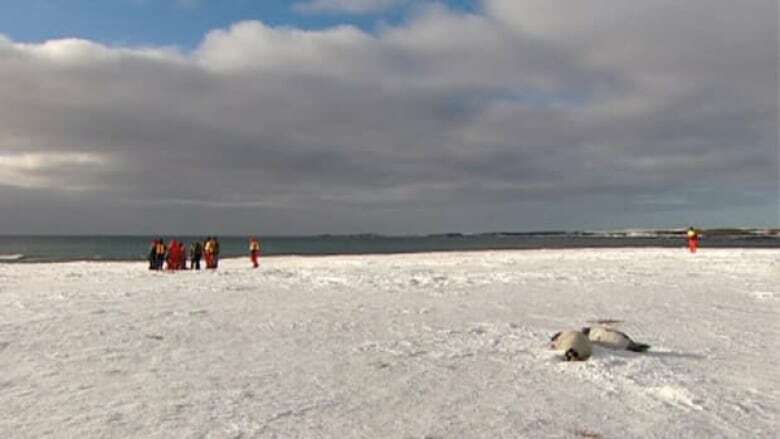 Grey seal hunt begins in Hay Island, N.S.